Members Photographs This area is for photographs taken by forum members and their families and friends. Seems like this time of the year I always get gnats. I don't know where they come from. So I made a gnat trap to catch them. 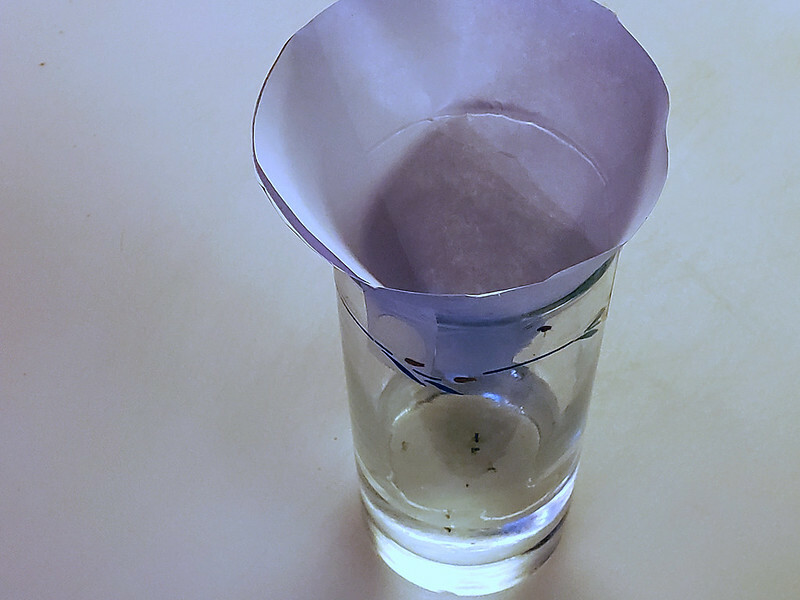 Make a funnel out of a piece of paper and cut a small amount on the bottom for the gnat to get through. Then pour some vinegar in a glass and put the funnel on the glass. Use scotch tape to hold the funnel down to the glass tightly. The gnats will smell the vinegar and will follow the scent through the small hole. Once inside, they can't figure out how to get out and eventually drown in the vinegar. It works like a minnow trap. We have met the enemy, and he is us! Challenge Pogo in the Arcade! I was just outside smoking my pipe and I saw them swarming around the airflow from my AC unit fan. I should try that. That this nation, under God, shall have a new birth of freedom—and that government of the people, by the people, for the people, shall not perish from the earth. Challenge aviator in the Arcade!